And why is everyone going bonkers for them? Hair art has been a thing for quite a while now, really hitting its peak in this year, with trends like space hair, fire hair, mermaid hair, and my personal favourite, rose gold hair, all of which use creative colouring techniques to muster up a vibrant or subtle ‘do. Now, the creative colour fad is moving-on-down from hair to lips, with makeup artists creating some seriously exquisite and unique looks. 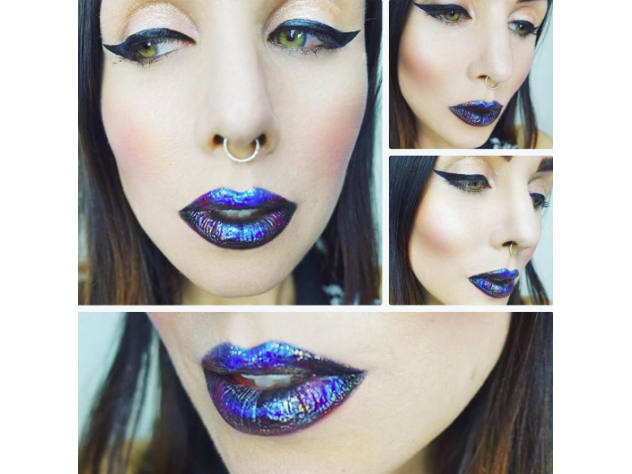 The latest in lip colour trends is being called ‘oil-slick lips.’ This trend has actually been lurking around in the beauty world for a bit (Seventeen reported on it in February), and picked up a tonne of traction on Instagram earlier in the year, but this week, it went viral to a whole other level. 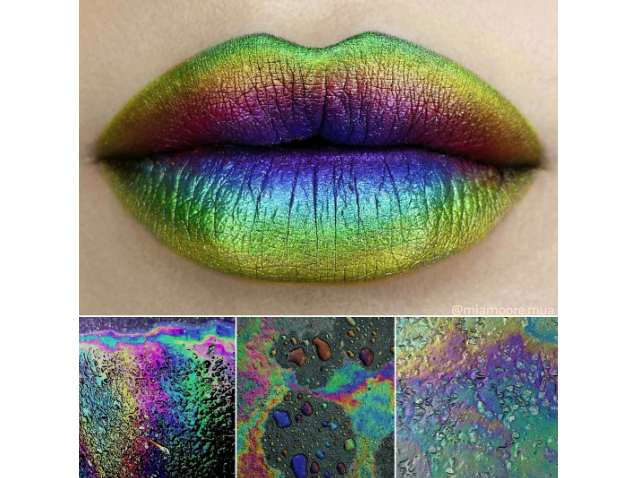 Following the rise in popularity of oil-slick hair (a.k.a rainbow hair for brunettes) oil-slick lips and oil-slick nails are reaching fever pitch, all mimicking the multicolour iridescent sheen of an oil spill. Verdict: it’s cool, pretty and very different. We’re hooked!